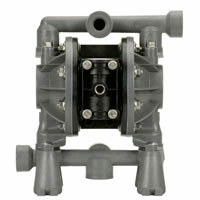 Ingersoll Rand/ARO Diaphragm Pumps provide stall-free, ice-free operation. 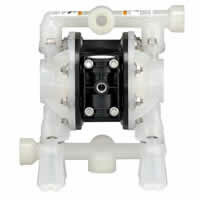 The patented “Unstallable” unbalanced air valve design avoids stalling issues associated with other pumps. The “Quick-Dump” exhaust valves divert cold exhaust air from ice-prone components, preventing freezing. Backed by a five-year warranty, you have the most reliable pump line on the market today. Maximize fluid compatibility with the complete line of Non-Metallic diaphragm pumps from Ingersoll Rand/ARO. Available in Polypropylene, Kynar (PVDF) and Groundable-Acetal. Fill in this simple form if you don’t see the exact type of pump you require here, or simply require more information on any product. If you need more information or if you have a specific enquiry, we’re happy to help. Already registered for downloads? Click here to login.